The following is a list of glossary terms that you may find useful when navigating through the DEenergize website. The 29 CFR 1910.1030 OSHA standard covers all occupational exposure to blood or other potentially infectious materials. The 29 CFR 1910.147 OSHA standard covers the servicing and maintenance of machines and equipment in which the unexpected energization or start up of the machines or equipment, or release of stored energy, could cause injury to employees. The standard establishes minimum performance requirements for the control of such hazardous energy. Full text of the 29 CFR 1910.147 is available here. The 29 CFR 1910.269 OSHA standard covers the operation and maintenance of electric power generation, control, transformation, transmission, and distribution lines and equipment. The 29 CFR 1910.333 OSHA standard outlines that safety-related work practices shall be employed to prevent electric shock or other injuries resulting from either direct or indirect electrical contacts when work is performed near or on equipment or circuits which are or may be energized. The specific safety-related work practices shall be consistent with the nature and extent of the associated electrical hazards. A padlock or combination lock issued to an employee for which no other person has the key, combination, or means of opening without using destructive force. The lock shall be uniquely identified and shall not be used for any other purpose. An employee who performs servicing or maintenance on machines and equipment. 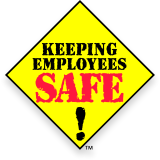 Lockout or tagout is used by these employees for their own protection. A condition where a mechanical device is inserted into the energy path to physically prevent movement. Most commonly used with mechanical machinery or fluid-filled lines. It can be locked without dismantling, rebuilding, or replacing the energy-isolating device or permanently altering its energy control capability. Regulatory compliance describes the goal that corporations or public agencies aspire to in their efforts to ensure that personnel are aware of and take steps to comply with relevant laws and regulations. A condition where all stored energy has been reduced to a non-hazardous level. Most commonly used with energy-storing devices, such as capacitors, pressure receivers, or springs. they contain residual or stored energy. A written document that contains those items of information an authorized employee needs to know in order to safely control hazardous energy during servicing or maintenance of machines or equipment. Examples of Lockout/Tagout energy control procedures are available here. A program intended to prevent the unexpected energizing or the release of stored energy in machines or equipment on which servicing and maintenance is being performed by employees. The program consists of energy control procedure(s), an employee training program, and periodic inspections. Additional information about energy control programs is available here. Any source of electrical, mechanical, hydraulic, pneumatic, chemical, thermal, or other energy. Any mechanical device that physically prevents the transmission or release of energy. These include, but are not limited to, manually operated electrical circuit breakers, disconnect switches, line valves, and blocks. The space around a source of hazardous energy where a person could be harmed if the hazardous energy was suddenly or unexpectedly released; such as the unexpected release of stored pressure, the unexpected movement of a machine, or the spray from a hazardous chemical that was unexpectedly released. Energy that has the potential to cause injury or harm to people if released where the impact would be moderate or greater. Associated electrical conductors and equipment operating at or intended to operate at a sustained voltage of more than 600 volts. A condition where all sources of hazardous energy have been controlled by breaking the energy path so that the energy cannot flow to workers. The term "isolated" is commonly used with electrical circuits and fluid lines. The placement of a lockout device on an energy-isolating device, in accordance with an established procedure, ensuring that the energy-isolating device and the equipment being controlled cannot be operated until the lockout device is removed. Any device that uses positive means, such as a lock, either key or combination type, to hold an energy-isolating device in a safe position, thereby preventing the energizing of machinery or equipment. When properly installed, a blank flange or bolted slip blind are considered equivalent to lockout devices. Lockout/Tagout, also known as LOTO or lock and tag, refers to specific practices and procedures to safeguard employees from the unexpected energization or startup of machinery and equipment, or the release of hazardous energy during service or maintenance activities. Lockout/Tagout compliance requirements are defined by the United States Department of Labor under OSHA Lockout/Tagout standard 29 CFR 1910.147. Associated electrical conductors and equipment operating at or intended to operate at a sustained voltage of 600 volts or less. Workplace activities such as constructing, installing, setting up, adjusting, inspecting, modifying, maintaining and/or servicing machines or equipment, including lubrication, cleaning or unjamming of machines or equipment, and making adjustments or tool changes, where employees could be exposed to the unexpected energization or startup of the equipment or release of hazardous energy. NFPA's mission is creating and maintaining minimum standards and requirements for fire prevention and suppression activities, training, and equipment, as well as other life-safety codes and standards. This includes everything from building codes to the personal protective equipment utilized by firefighters while extinguishing a blaze. OSHA is a government agency in the US Department of Labor. OSHA's mission is to prevent work-related injuries, illnesses, and deaths. Since the agency was created in 1971, occupational deaths have been cut by 62% and injuries have declined by 42%. The placement of a tagout device on an energy - isolating device, in accordance with an established procedure, to indicate that the energy - isolating device and the equipment being controlled may not be operated until the tagout device is removed. Any prominent warning device, such as a tag and a means of attachment, that can be securely fastened to an energy-isolating device in accordance with an established procedure. The tag indicates that the machine or equipment to which it is attached is not to be operated until the tagout device is removed in accordance with the energy control procedure.